It’s funny how, in some respects, we are like magpies with our beauty consumption, always looking for a new shiny thing to be captivated by. Whereas in other respects, we are truly creatures of habit and employ the old ‘if it ain’t broke, don’t fix it’ philosophy. I am very much the latter with ghd. Once upon a time, heat tools for hair were crap. My first one was this 6-in-1 thing, I forget the brand now, it might have been Phillips. It had these 6 different plates that you could slide onto the handle; a straightener, a curling tong, a hot brush, a crimper (! )… I can’t remember the others. It took half an hour to reach the right temperature, and even then it wasn’t hot enough to actually do anything noticeable to my hair. Still, it was pretty damn cool for 1998. As if we didn’t already know what a scary pace technology has moved at in the last 20 years, by 2006 I had my first pair of ghd straighteners and they were epic. Like it or not, ghd have been authority on hairstyling and have been at the forefront of heat tool technology since day dot. Sure, there are dozens of brands who make decent quality heat tools these days, but for me none of them will ever quite live up to the precedent set by ghd. Because I am a spoiled brat, I currently have three pairs in my arsenal (no, I don’t need three, but shh, I like them). And now I am going to show them off, just because I can. Indulge me. 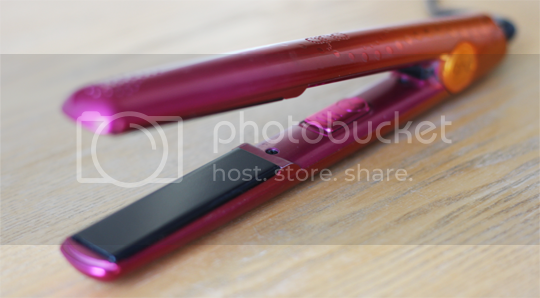 …Which was the ghd V Coral styler from the Bird of Paradise collection at the end of last year. How can you resist that beautiful jewel toned gradient?! You can’t. Well, I couldn’t, anyway. I justified the purchase of them by saying to myself that the Mint styler was getting less effective since we’d been using it so often for so long. It wasn’t, it’s practically like new, but I know you know as well as I do how we have to justify things to ourselves! But, damn, I’d forgotten how good it feels to run a new straightener through your hair for the first time. 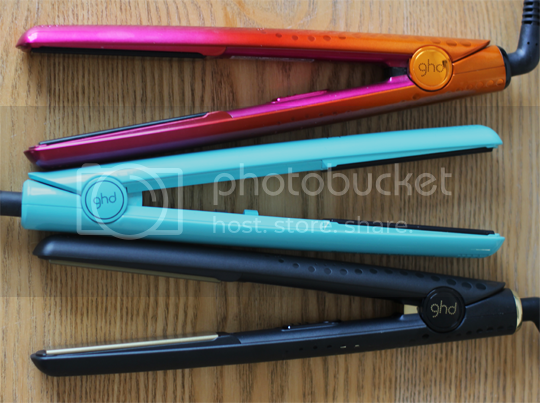 The ghd V model isn’t wildly different to the ghd IV, with the exception that they’re lighter to hold and slightly sleeker in design – but dat colour tho. Swoon. Aaand here’s the latest addition. The ghd V* again, but this time the Classic style in timeless black and gold. They don’t set my colour loving heart on fire like the Mint or Coral stylers do, but if it’s practicality you’re after then these are the ones. I can’t guarantee you won’t be swayed by their next stunning coloured collection, though. That’s just the way it is. So it turns out, even though it feels excessive sometimes, three stylers works out well for us. As the oldest one, good old Mint has been relegated to a drawer for use as a ‘backup straightener’ or if one or both of us goes away (it came to Berlin and Prague with us last month, actually). We usually need to use them at the same time in the morning which leaves whoever gets to them last standing around tutting for five minutes, but now I use Coral and he uses Classic (because it’s ‘less girly’, clearly the fact that he even straightens his hair daily notwithstanding…). So now there’s no more arguments about ‘I’m going to be late, hurry up!’, ‘So am I, you can wait your turn!’. Sorted. 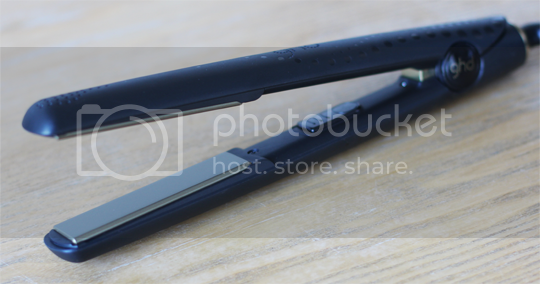 You can get the ghd V Classic styler directly from ghd for £125. 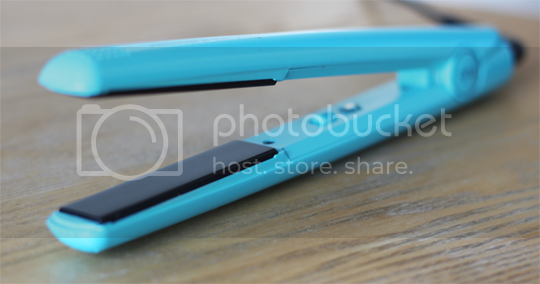 The ghd V Coral styler is still on LookFantastic with a bit of a discount, too, at £109. If you really love the candy coloured ghd IV Mint styler, it’s a little harder to find but you’ll unearth it with a dig around Amazon etc. China Glaze TTYL, 60′s KOTD, and IMATS excitement! Oh I love ghds too! My first straighteners were a Babyliss offering, you had to fill them up with water (!!) to create enough steam… and they never left my hair straight for longer than five minutes! Not looked back since we got ghds, I’m on my second pair now and nothing compares! Still got my eye on the Eclipse ones although I’m so sad I couldn’t get the rose gold ones, how pretty were they?! I love my GHDs after having them there is no way I’d go back to any other brand of straighteners! I do only have plain black ones though, my mum has the peacock green ones and they’re so gorgeous! I was so tempted by the rose gold ones though!